Becky Brandon (nee Bloomwood) is in Hollywood! It's as if all her life has been leading to this moment. She's hanging out with the stars ... or at least she will be, when she finally gets to meet movie superstar Sage Seymour, whom husband Luke is now managing. There's so much to see and do! And getting Minnie through the hurdles for her A-list Hollywood pre-school will require some...er...help. Becky sets her heart on a new career - she's going to be a celebrity stylist. Red carpet, here she comes! But Becky soon finds it's tough in Tinseltown. Luckily her best friend Suze comes over to keep her company, and together they embark on the Hollywood insider trail. But somehow...things aren't quite working out as they'd hoped. Then Becky's big chance comes, and it's an opportunity that money can't buy. But will it cost her too much? I loved this lighthearted chick lit. 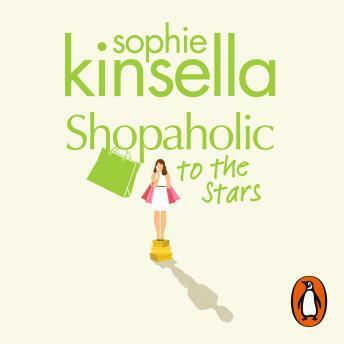 I have already read most of the rest of Sophie’s Shopaholic series and was delighted to find this “missing link” in audio. Well worth a read!